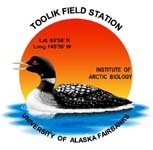 » Foliar and litter nutrients and retranslocation efficiencies (N, P, K, Ca, Mg, Al) for dominant species on moist acidic and non-acidic tundra, Arctic LTER, Toolik Field Station , Alaska, 1999. Foliar samples were collected in late-July, 1999, from 6 points located every 5 meters along transects at each site. At a sampling point, the following were collected for each species (depending on the site): five tillers of Eriophorum; 3 tillers of Carex; 4-5 long shoots of Betula; 3-4 leaves of Rubus; 5 current year's shoots of Ledum, Vaccinium, and Dryas; 5 leaves of Polygonum; and one clump (approximately 25 cm2) of green Sphagnum, Hylocomium, and Tomenthypnum moss. Leaves from a transect point were pooled within species, removed from stems, and analyzed fresh for leaf area on a portable LICOR leaf area meter (LICOR Inc., Lincoln, Nebaraska). Leaves were subsequently dried (65¡C), weighed (to determine specific leaf area), ground, and analyzed for N by combustion on a Carlo-Erba CHN analyzer (Carlo-Erba Instruments, Milan Italy), and for P, Ca, Mg, K, and Al by ICP (following digestion in 10% HCl) (Munter and Grande 1981). Determinations of P, base cations, and Al were done at the University of Minnesota's Research Analytical Laboratory. Senesced samples were collected in mid-August, 1999. Because of the scarcity of senesced material, senesced leaves were sampled differently from live leaves. At a sampling point, the following were collected for each species (depending on the site): 30 senesced leaf tips of Eriophorum and Carex; senesced leaves from 5-10 long shoots of Betula; 5 senesced leaves of Polygonum and Rubus; and senesced leaves from 5 shoots of Dryas. One bulk sample of senesced leaves was collected for Ledum and Vaccinium at each site, and for Betula at the non-acidic site. We analyzed senesced leaves for specific leaf area, as above. Leaves from different points along the transect were combined within a species and site for nutrient analyses due to small sample masses. Calculations: We calculated retranslocation efficiency as the difference in the area-based nutrient pool size before and after senescence relative to the pool size before senescence multiplied by 100. Because nutrient concentrations of dead leaves were analyzed on pooled samples, we used average nutrient concentrations of live leaves for these calculations. Thus we have one retranslocation value for each species at each site with no replication. Version 6:Updated metadata to newer form (with sites sheet). CH March 2013.